Recipes, Kitchen, Home and Garden Tips. 1. Adjust oven rack to middle position and heat oven to 400. Lightly grease a 6-cup muffin tin. We used a tin that makes larger than usual muffins. 2. Whisk flour, sugar, baking powder, salt and pepper together in large bowl. In separate bowl whisk cottage cheese, sour cream, melted butter, eggs, scallions and ham together. Gently fold wet mixture into dry until just combined (do not overmix). 3. 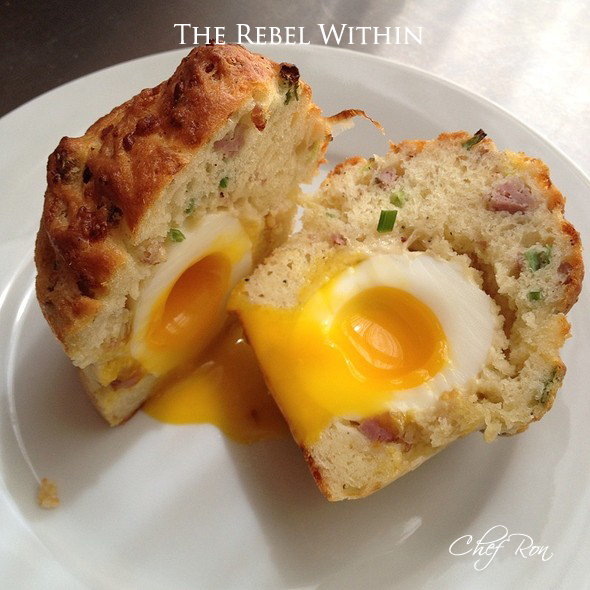 Fill muffin tin halfway with batter and then lay the peeled soft-boiled eggs in and cover with remaining batter to cover. Bake until golden brown, about 25 to 35 minutes, rotating the tin halfway through. 4. Let them cool in the tin for about 5 minutes and then remove from the tin and serve. The Paint Factory was established in 2007 and its existence is mainly thanks to government’s investment in housing projects in the Eastern Cape. From modest beginnings, where the factory only manufactured selected products with very limited flexibility, it has expanded into a highly effective production unit. Supplying developments, government or private owners is now only a small segment of our business. The Paint Factory has successfully cemented itself amongst the leading suppliers of paint in the Eastern Cape. NGO's in South Africa need exposure to donors to access funding. Please share this post with an NGO.